Regional: Almost a third of asylum seekers on Manus Island have joined a Papua New Guinea Supreme Court case to contest their detention. The case is one of numerous legal challenges to the Australian-funded processing of asylum seekers on PNG’s remote Manus Island. BBC journalists recently dubbed Manus Island “Australia’s Guantanamo”, after travelling undercover to the island, to report on conditions in the detention center. “These four refugees are essentially human guinea pigs”. Nine months after Australia and Cambodia signed a controversial $40 million deal in which refugees detained in the Australian-run detention center on Nauru are offered resettlement in Cambodia, the first four refugees arrived in Phnom Penh. 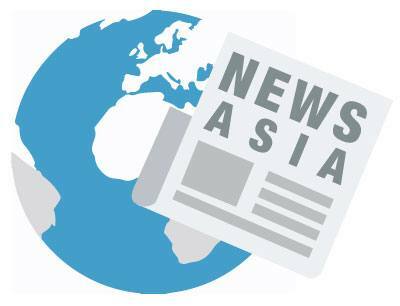 Human rights advocates have expressed significant concern regarding the capacity of the already struggling Cambodian welfare sector to adequately protect these new arrivals. “Not seen, not heard, often not reported” A special report from the Guardian Australia presents evidence which highlights systemic failures in how the immigration department and its contractors deal with serious allegations of sexual assault on Nauru, Manus and the mainland. Australia: Explosive claims this month that after intercepting asylum seeker boats, Australian Government officials paid people smugglers to return with their passengers to Indonesia. The Australian PM Tony Abbott has refused to rule out the tactic, saying the government is determined to “stop the boats by hook or by crook”, and that border officials had been “incredibly creative” in this endeavor. Human rights lawyers as well as Greens and Labor Party senators have called on the government to be straight forward when answering questions about the payment allegations, expressing grave concerns that such actions amount to aiding and abetting human trafficking. Critics are investigating the legality of such accusations, warning that the payments may violate Australian, Indonesian and international laws against smuggling, bribery and the treatment of asylum seekers. Efforts by the Australian Government to “take the law out of the law” through the expansion of discretionary, often non-compellable, ministerial powers that are being exercised with limited judicial scrutiny. 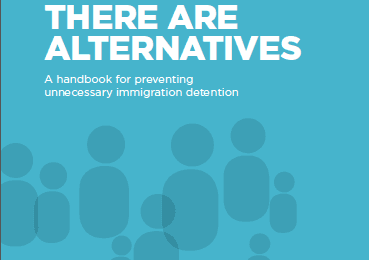 Whilst this trend is occurring across a whole range of democratic and human rights safeguards, it is being seen most clearly in the treatment of the most vulnerable – refugees. 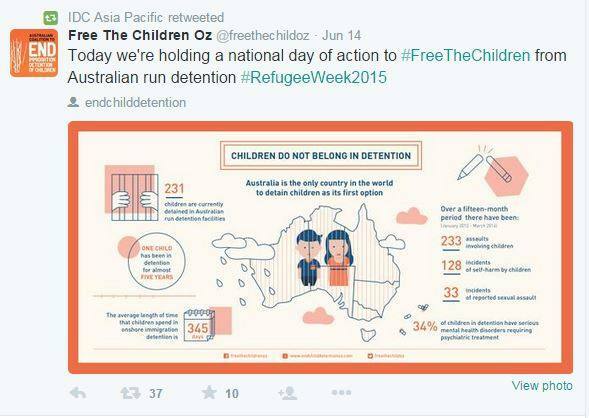 As part of Refugee Week 2015, the Australian Coalition to End Immigration Detention of Children (ACEIDC) held a National Day of Action, incorporating a successful social media campaign; lobbying meetings with senators and MPs as well as holding an all-day action on the lawns of Parliament house in Canberra. Behind The Wire launched its oral history project in Australia this month. 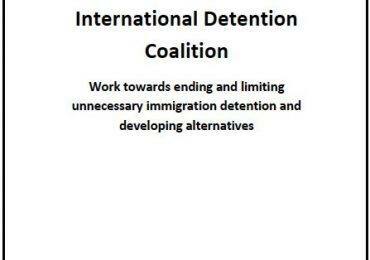 Documenting the stories of men, women and children who have experienced Australia’s mandatory detention centers over the past 22 years, the projects aims to bring a new perspective to the way the majority of Australians (mis)understand the lived realities of those locked up as a ‘first resort’. Vietnam: Human Rights Watch launched its report Persecuting “Evil Way” Religion: Abuses against Montagnards in Vietnam, investigating the conditions under which hundreds are fleeing systematic religious and political persecution in the Central Highlands of Vietnam in search of protection in Thailand and Cambodia.